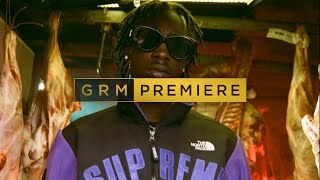 Talent, Jusco and J. Seventeen release the visuals for Sauce on Link Up TV. The London rappers have been individually, and collaboratively, working extremely hard over the past year to deliver nothing but fresh and saucy music. Bangin’ tracks that have been released so far this year from the rappers include tracks such as Bands On Me by Talent and J. Seventeen and Unforgettable Remix (Wanna Be) by Jusco. Talent was also featured on Tim Westwood TV, in June this year, on the Walthamstow Crib Session that sent the fans crazy because it was so wavy. The consistency of a hard work rate has already been shown this year from Talent, Jusco and J. Seventeen. So it was no surprise that the trio decided to collaborate on a track entitled Sauce; that fits them all perfectly. The track gives the trio a chance to flaunt their flashy lifestyle and stunt on all of the haters who aren’t dripping in sauce like they are. Sauce is featured on Summer Seventeen The EP, which is a collaboration EP by Talent and J. Seventeen that was released on 31st August 2017. The EP has six tracks including Bands On Me, She Bad (featuring Bumpy Brown), Sauce and Deserve It All; and is 22 minutes long. 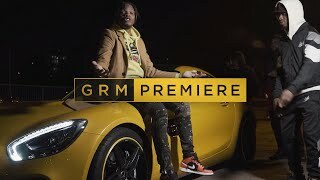 The visuals were shot by freelance videographer Will Clarke and see Talent, Jusco and J. Seventeen in a series of day shots dressed from head to toe in designer and riding around the city of London in shiny new whips. The night scene is more relaxed, set in a car park, and the artists rap whilst being surrounded by colourful mist that comes from their little smoke grenades. It’s a vibe. Watch Talent, Jusco and J. Seventeen in the Sauce video above. Next: C Montana Shows Over £240,000 Worth Of Jewellery!